500GB Near Line SAS 6Gbps 7.2k 3.5" HD Hot Plug Fully Assembled Kit (Dell)..
500GB NearLine SAS 6Gbps 7.2k 3.5" HD - Kit (Dell)..
Жест. 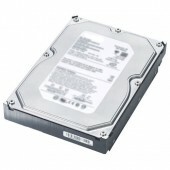 диск для сервера DELL Near Line (3.5", 500ГБ, Serial Attached SCSI) (Dell)..
Жесткий диск Dell 146Gb SAS 15K 2.5"in3.5" Hot Plug Fully assembled for 12G servers (400-24989) (Dell)..
300GB SAS 6Gbps 10k 2.5" HD Hot Plug Fully Assembled Kit for Blade Servers 11/12 Generation (Dell)..
300GB SAS 6Gbps 10k 2.5" HD Hot Plug in 3.5" Hybrid Carrier, Kit (Dell)..
DELL 1TB SAS 7.2k LFF 3.5" HDD Hot Plug for G11/G12 servers analog 400-21306 (Dell)..
Жесткий диск DELL 300GB SAS 6Gbps 10k SFF 2.5" HDD Hot Plug R420/R610/R620/R710/R720/T610/T710. (Dell)..
HDD Dell Kit 600GB 3.5" SAS HS 6Gbps 15K T610R610R710 (Dell)..
Жесткий диск Dell 1Tb NL SAS 7.2K 3.5" Hot Plug Fully assembled for 12G servers (400-24985) (Dell)..
Жест. диск Dell 1TB Near Line SAS 6Gbps 7.2k 3.5" HD Hot Plug Fully Assembled - Kit (Dell)..
Жесткий диск DELL 600G SAS 6G 10k 2.5" in 3.5" Hybrid Carrier - for R410/R510/R710/T410/T610/T710/ (Dell)..
Жест. 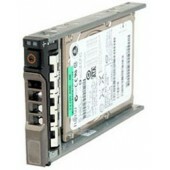 диск Dell 500G Near Line SAS 6G 2.5 7.2K HD Hot Plug Fully Assembled (400-19736) (Dell)..